What it is: Nvidia research has developed a new AI framework that allows systems to imagine what an image might look like under different conditions, such as what an always-sunny street might look like under 6 inches of snow. A General Adversarial Network (or GAN) — which combines two neural networks, one that creates an image and another that judges — has been used successfully to create fake celebrity faces and new clothing designs. Most of these previous methods, however, rely on images to be labeled. Nvidia’s framework allows the GAN to work with unlabeled datasets, a major advantage that frees up time for AI researchers that would otherwise be spent on cleaning their training data. 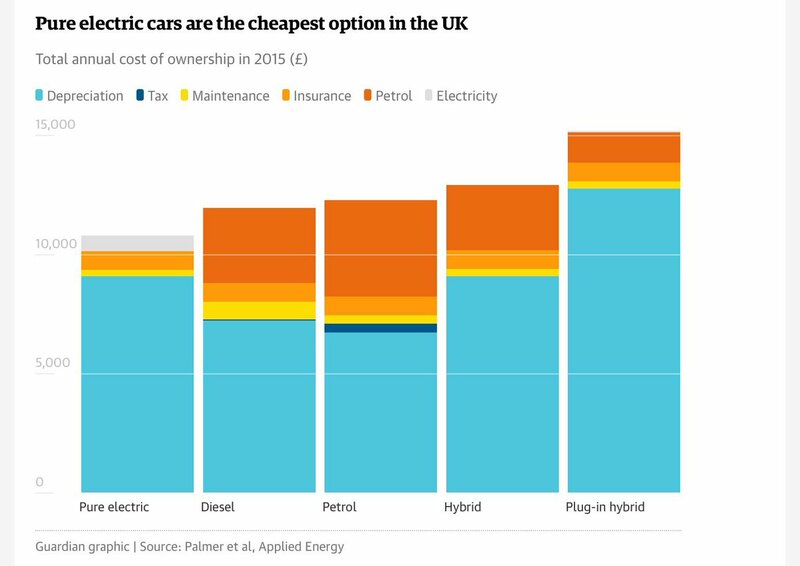 What it is: A new study by the University of Leeds reveals that over four years, pure electric cars cost less than gas- or diesel-powered cars. Researchers evaluated factors like fuel, purchase price, depreciation, taxation, maintenance and insurance across four markets — California, Texas, the U.K. and Japan. 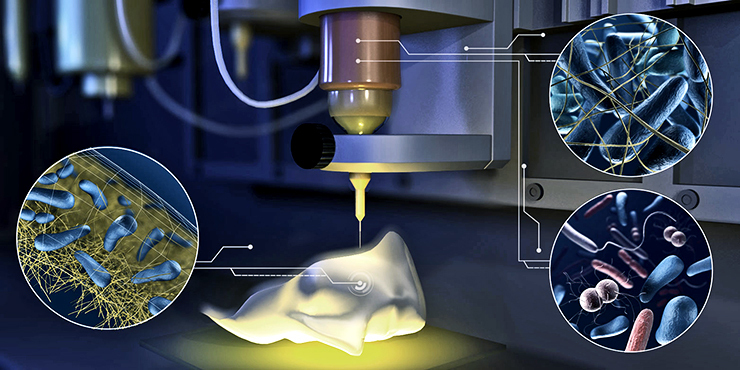 What it is: The Laboratory for Complex Materials at ETH Zurich has taken bacterial 3D printing to a new level. By culturing different bacterial types in a biocomptible hydrogel, they have created bacterial gel inks that can create items with living properties, such as masks or wraps for burn victims, or materials capable of detecting toxins. Not only does this create a structure that directs the bacterial activity for an extended duration, but the team has basically created an ink jet system that facilitates embedding multiple bacterial types in the material to fit different needs. What it is: High Fidelity has just released Avatar Island, a commerce system built on the blockchain that enables users to buy and sell goods in virtual reality. Currently, users can purchase over 300 virtual goods for their avatars in High Fidelity, all created by digital artists who will earn a share of the revenue. What it is: Two recent developments are giving us a leg up in the race against hackers. At NYU, researchers have created a molybdenum nanomterial that cannot be cloned. 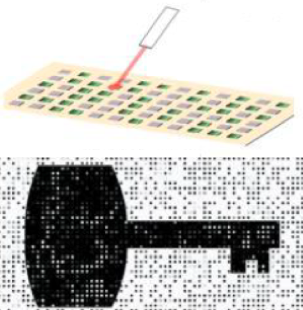 The material has the highest possible structural randomness possible, which means the way it emits or does not emit light gives it a unique cryptographic key which could be embedded in systems at the chip level. Separately, Duke, The Ohio State University and Oak Ridge National Laboratory have created a QKD (Quantum Key Distribution) like what we have seen in China earlier this year, but at speeds in the megabyte per second range, a 5-10X improvement that makes the method on par with current Internet speeds.